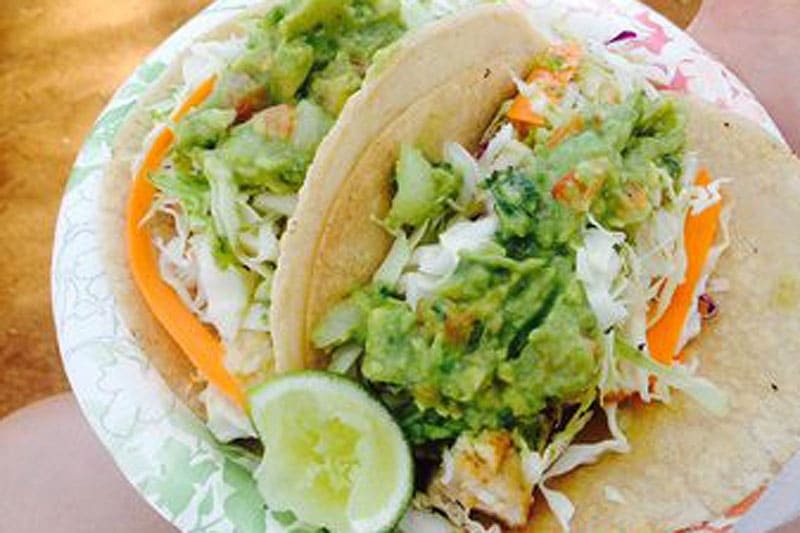 Enjoy Al Pastor, Island Fish, Shrimp, Chicken, and Carne Asada Tacos and Burritos, as well as Chicken Mole and fresh Chili Relleno Plates. 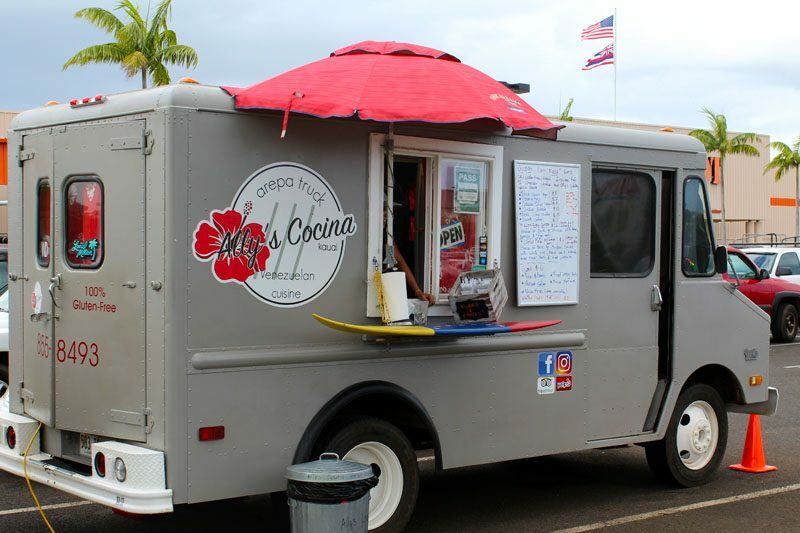 Try their Taro tortillas too. 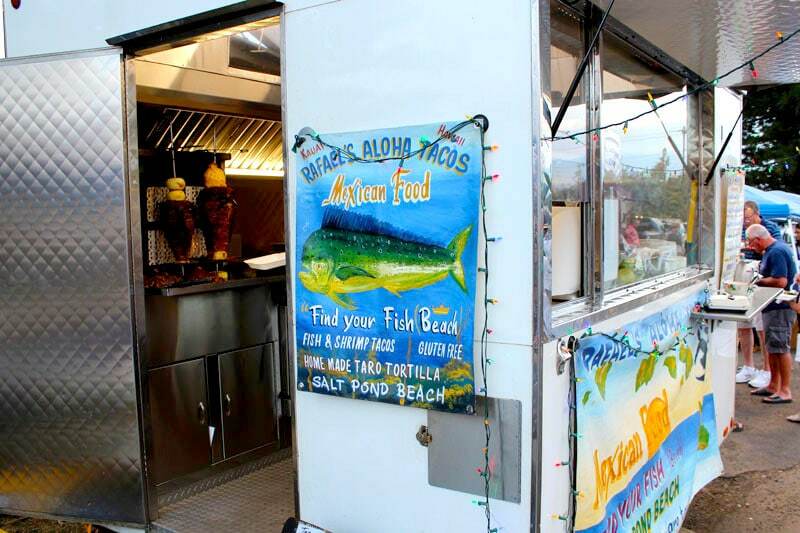 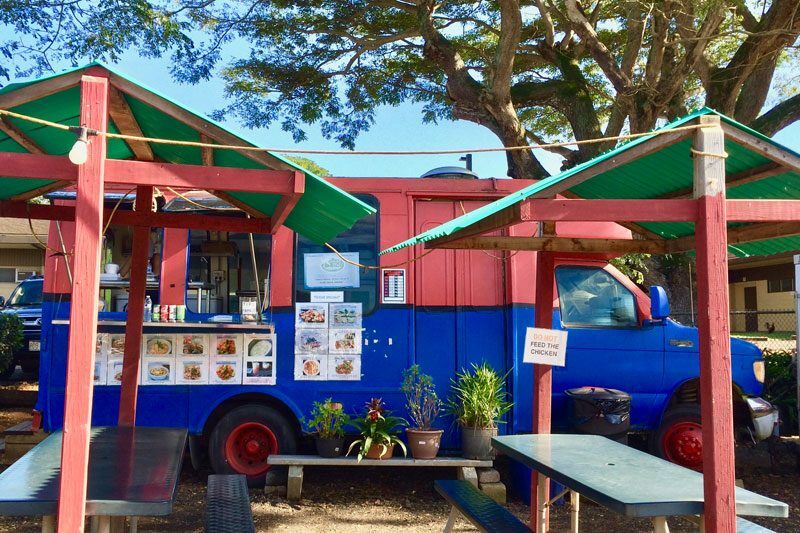 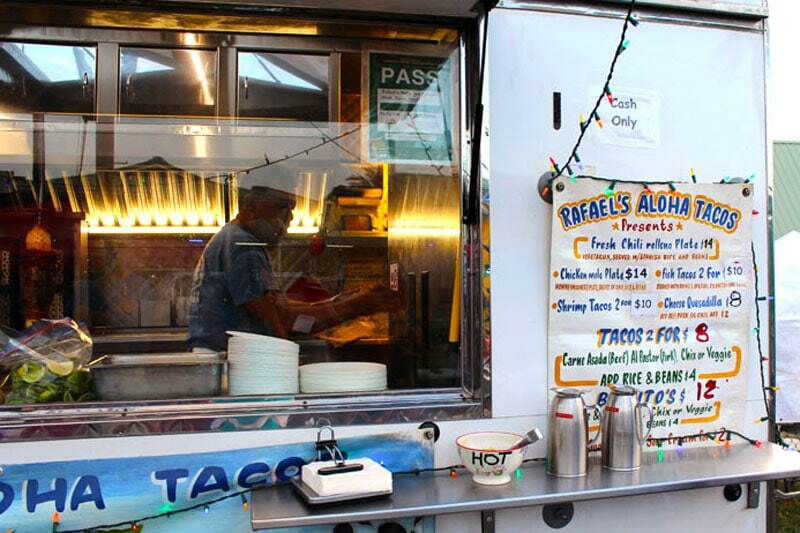 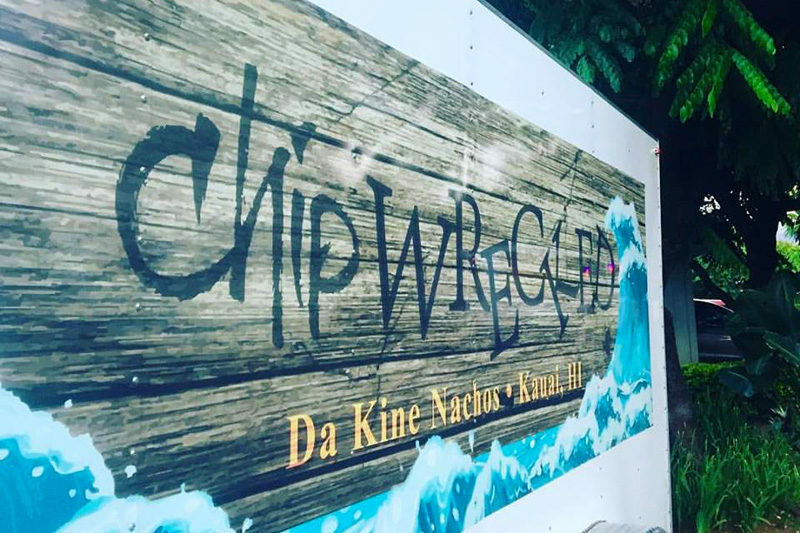 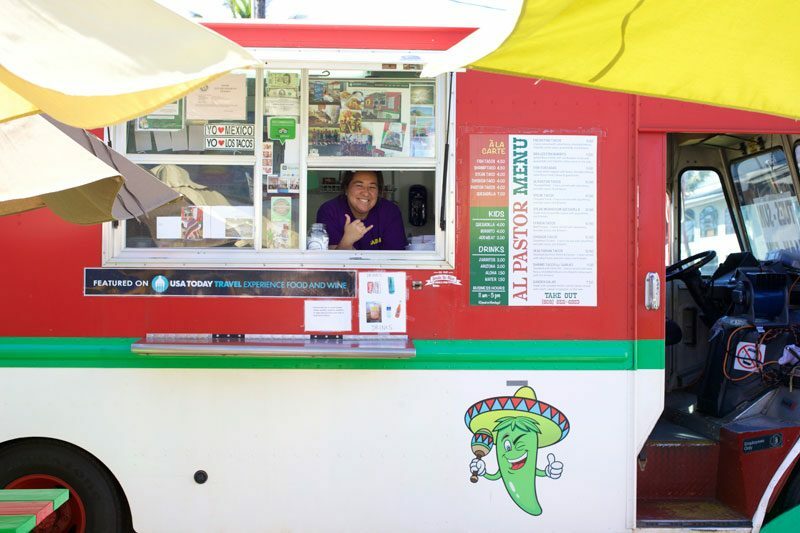 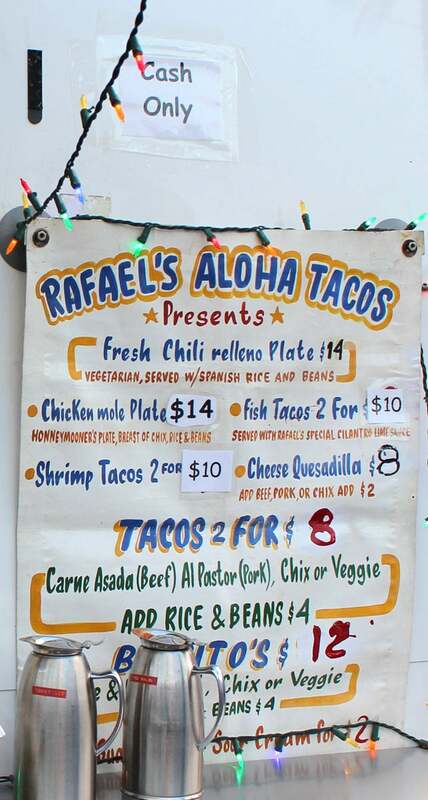 You can find Rafael’s Aloha Tacos at Salt Pond Beach and at the Kapaa Art Night (1st Saturday night of the month), Puhi Farmer’s Market on Saturday mornings and Friday Hanapepe Art Night.